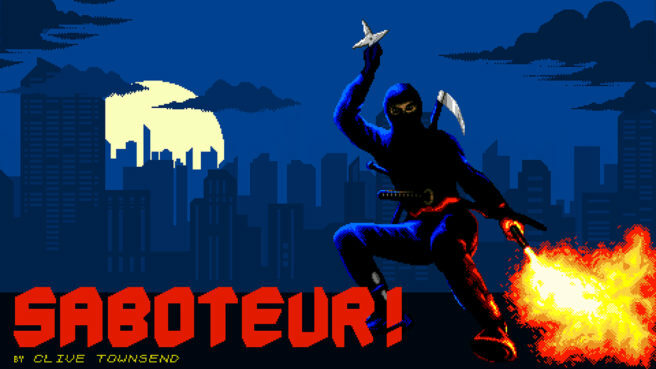 Saboteur! is classic retro game hit made by Clive Townsend in 1985 for ZX Spectrum 8-bit computer. In 1985 Saboteur! received prestigious award “The Crash Smash” from Crash magazine and was high-rated with 93% score. In the game you’ll experience original mission from 1985 version. Additionally the story will continue with new levels and enemies. Now you’ll be able to know more about Saboteur and his dark and secret story. Saboteur! will cost $8.00 on Switch.